Parents are required to complete a Baptismal Preparation session prior to having their child Baptized; these sessions are presented on the first weekend of Jan, Mar, May, Jul, Sep, Nov following the 11 o’clock Mass. Session dates and location will be posted in the bulletin. 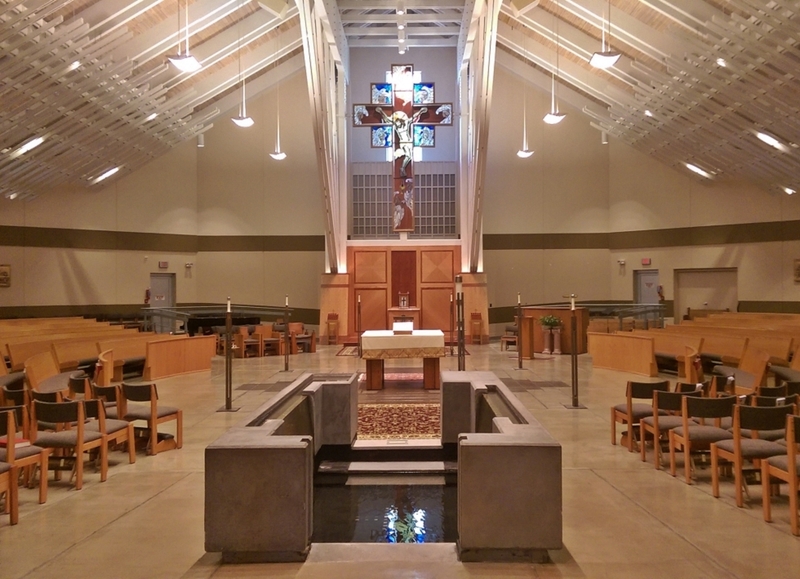 If you have been asked to be a Godparent or Confirmation Sponsor, please know that you will be required to be a registered parishioner of the St. Joan of Arc Catholic Church for 3 months before we can issue a “letter in good standing” with your parish as is normally required by the parish issuing the sacrament. The Sacrament of Baptism is celebrated on the second and fourth weekend of each month; Saturday at 3 pm or Sunday following the 11 o’clock Mass. Baptisms also may be celebrated during Mass (except during Holy Week). Scheduling of your child’s baptism will be determined upon completion of the baptismal class. Please contact Deacon Jim 757-898-5570. “Go therefore and make disciples of all nations, baptizing them in the name of the Father, and of the Son, and of the Holy Spirit, teaching them to observe all that I have commanded of you” (Matthew 28:19-20). Baptism is the first sacrament celebrated in the process of becoming a full member of the Church community. It is the first of the three Sacraments of Initiation – Baptism, Confirmation and Eucharist. Baptism is, like all the sacraments, a gift from God. Water is the universal symbol. Water is absolutely essential for all life. Water cleanses and restores. It is the waters of Baptism which give us new life. In accordance, through Baptism we also die to our old sinful selves in order to be restored and resurrected in the new life of Christ.